THE WORD occult means that which is hidden. Occultism, consequently, is the science of hidden forces, and the art of subjecting such forces to human control. Here we will consider the data upon which occultism rests. Its subjects are not directly apprehended by the five senses upon which the physical scientist relies for all knowledge. The line of demarcation between that which is called occult is, therefore, constantly changing; for scientists every now and then invent a device by which some hitherto occult force is made directly perceptible to the physical senses. It is then no longer considered occult. Not long since, for instance, the power of the lodestone was held to be occult. Indeed, so far as any knowledge of its nature is concerned, the physical scientists should include the force of gravitation in the occult category; for they admit it operates across immense space in which there is nothing that can be apprehended by the five senses, yet fail to explain by what hidden means the force is transmitted. The infrared and ultraviolet rays of light, also were occult a few years ago, and are so yet to the majority of people. All mental forces fall properly into this category, as is admitted in the case of hypnotism, exhibiting, as it does, the power of one mind over another. 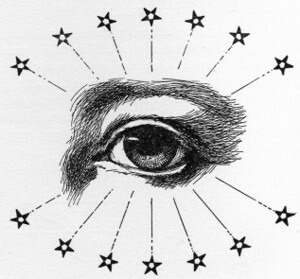 It is clear, then, that the common application of the word occult, since it depends upon the experience of the speaker—for what is hidden to one may be perceived by another—is wholly arbitrary. The word carries with it an air of mystery, it is true; but all forces are mysterious to those who have not studied them; and what is mysterious to the ignorant is obvious to the learned. Yet in all nature, nothing can come permanently under this ban; for all mysteries may be solved. Thus, the simplest conveniences of modern civilization are mysterious to the untutored savage. He is wont to attribute their power to some supernatural agency. But there is nothing supernatural—nothing, that is, not governed by natural laws. Above and below, all obey those by which they manifest; and while these laws are uncomprehended any phenomenon seems mysterious. It was this uncomprehension that caused the terror of the Red Man, who, not understanding the natural laws underlying its geysers and boiling paintpots, feared to enter the Yellowstone Park: while the White Man, sure that its riddles could be solved, has made it his national playground. And just as the savage inclines to attribute such phenomena to some supernatural agency, or similarly to attribute the powers of the burning-glass, and to regard photographs with reverence, so other men, more highly endowed, but not less ignorant in that special direction, can see in spiritual phenomena only Divine intervention and miracles. Thus do all of us fear that which we do not understand; but with understanding comes courage, for with the dawning of the light of the mind we see how any hidden danger—if danger there be—may be circumvented. Knowledge reveals it either as a scarecrow or as a menace, the one to be ignored and the other avoided except as it can be made subservient to the will of man. Man’s only progression, here or hereafter, must be founded on knowledge. Only by its means can he subjugate his external environment and enjoy its opportunities. He who is ignorant of the laws of his physical body incurs illness. He who is ignorant of the laws governing acquisition remains in poverty. He who is ignorant of the social laws of his land is likely to be deprived of his liberty. So it is also with things spiritual. Only through a knowledge of spiritual laws can man mold his spiritual environment and enjoy, while yet on earth, spiritual powers. Ignorant of the laws of his spiritual body, he incurs moral maladies that follow him beyond the tomb. Ignorant of the laws governing the acquisition of spiritual attributes, he misses the greatest treasures of this life, and passes to the life beyond in spiritual poverty. If, still ignorant, he goes to the new life with no knowledge of the laws and customs of the denizens of that realm, or if he contacts them while he is still embodied, he may, in his unenlightened condition, be deprived of his liberty. Only through knowledge of himself, and of the powers and forces by which he is environed, can he expect to progress. And it is for this reason that the occultist applies himself to the acquisition of such knowledge. Its acquisition, like everything else, depends much upon a proper beginning, and the occult student, starting out on his voyage in search of the Golden Fleece of spiritual truth, needs to take care that he sets sail from the right port and in the right direction. At the very beginning, then, of our bold enterprise, in which we purpose to carry the student safely across the muddy tide of metaphysics and land him securely on the bright shores of occult knowledge, we must indicate our port of debarkation and show it to be a true port. No better starting point can be found for such a purpose, nor another nearly so strong and well defended, as the fundamental assertion, I AM. Following Nature as our safest pilot, we discover that the first glimmer of consciousness—that which foreshadows knowledge—is concerned with distinguishing the Me from the Not-me. Thus a sensation registers as something distinct from me but affecting me; and it matters not whether we accept the statement of the Cartesian school, “I think, therefore I am,” or prefer the version of Eliphas Levi, the learned French Magus, “I am, therefore I think,” the fact remains that the assertion “I AM” is irrefutable. By no quirk of speculation can we deny the existence of the thinker, who must postulate a being able to think before he can find ground on which to stand to make denial. When he admits the existence of a being able to form an opinion, he has established himself as an entity; for, clearly, if there is no thinker, there can be no thought; and if there is no thought there can be no denial. Consequently, no one can deny his own existence; and from this undeniable premise any correct system of philosophy must start. The consciousness of the thinker, thus firmly established, is a perception of relations. These relations may be subjective or objective, but to be conscious of them he must be able to compare them. Where there is no change, no relative conditions, there can be no consciousness. Similarly, limited perceptions of relations mean limited consciousness, and greater perceptions of relative conditions bring greater consciousness. Evolution is thus observed to be in the direction of increased perceptions, that is, to be moving toward greater consciousness. Therefore, as evolution continues, consciousness expands; and as evolution advances toward infinity, the perceptions increase, until absolute consciousness is approached. In the same way, lower forms of life than man have perceptions of the narrower world in which they live, and these constitute the basis of their actions. But man has not only perception of his immediate environment, he can recall in memory many of these external perceptions and combine them in a new order. Such a complex mental grouping is called a concept. Concepts, in turn, combine into the larger group we call knowledge, which is thus seen to rest upon experience-gained perceptions, grouped in memory. Even though we gain the knowledge from books, it is nevertheless gained by experience; for to read another’s writing is an experience as truly as if one were to feel in himself the physical sensations of the writer. Such an experience is, of course, mental rather than physical; but it is still an experience. Reasoning, also, is an experience, arising from the comparison of relations held in memory. In very truth we have no knowledge except that gained through experience, and that experience is a continually increasing consciousness of relations of various perceptions and concepts. The first form of this consciousness is decidedly limited; for as a newborn babe I possess scarcely more than the instinct inherent in all life to struggle for existence. To what extent these inherited instincts and tendencies depend upon previous experiences of the soul before birth in human form does not concern us now. Enough that I, together with all living beings, have an instinct to sustain existence. This instinct leads to actions that supply nourishment to the body, and these actions register impressions on the consciousness. At this time, I am unaware of more than a few primitive sensations, and my consciousness has a very limited scope. But limited as it is, there soon develops a dim perception of relations. Thus I become aware that the sensation I later call hunger is appeased by taking nourishment, and that certain actions on my part lead to this nourishment being furnished by my mother. Here I take my first step in positive knowledge; for I have discovered the relation existing between two sets of sensations. All knowledge possible to me, here and hereafter, must rest upon a similar basis; for there is no knowledge that does not rest upon experience, and no experience apart from a perception of relations. In this typical case I find that a certain set of sensations is followed by another set of sensations. The same thing happens over and over again, until the connection is established in memory. Because of the repeated association of these two sets of sensations in my experience I conclude that the first set is always followed by the other set. This is KNOWLEDGE. Growing from infancy to childhood, my perception of relations gains a wider scope. Day by day I add to the store of such experiences, and of others. Some objects have thus attracted my attention through the sense of sight, and I have discovered that things thus seen have come into my possession when reached for. So I reach for the object of my desire. Since my experience so far has been very limited, my knowledge is only partial and I reach for an object across the room with the same assurance as if it were near at hand. But I am unable to procure it, and this adds to my experience. Later I learn, by repetition of this experience, and comparison of it with similar experiences in which I have successfully gained possession of the coveted object, that some objects are close at hand and others are distant. Thus I correct my first impression that reaching brings an object within range of the sense of touch, and a knowledge of the relation called distance enters my mind. This knowledge is emphasized and made important to me through the sensations of pleasure and pain. Illustrating the function of pleasure and pain, when learning to walk if I reach for a chair that is too far away, expecting it to support me, I fall and am hurt. But if I am correct in my estimate of distance, I avoid the pain of falling and take pleasure in my achievement. Pleasure and pain, when applied by Nature rather than by man, always are educational; never reward and punishment as society conceives them. (See Chapter 4, Course XIX, Organic Alchemy, Serial Lesson 212). Again, a lighted candle looks very pretty and inviting, and I desire to gain impressions of it through other senses than the sense of sight. I expect a pleasurable sensation to follow touching or tasting it, because it is pleasing to the eye. But in this instance my knowledge is imperfect, and the result is pain. Therefore, after touching the lighted candle I revise my opinion of it, and decide that while it is pleasant to sight, it is painful to both touch and taste. And in later years I can form the generalization that acting upon imperfect knowledge often brings some painful result. This is TRUTH. We now see that Truth is the conformity of cognition to reality. And while at this early age my limited experience causes me to form many erroneous conclusions from the impressions reaching me from the universe, a wider range of experience enables me to revise my early conclusions and approach more nearly the truth. Thus is growth in consciousness the continued approximation of cognition to reality, casting away that which proves erroneous, and confirming that which proves consistent. In later life there are experiences of a mental nature by which the results of other person’s experiences are conveyed to me through speech and writing. Even a thought, however, is a movement in some substance, and implies a perception of relations. The process, therefore, of following the reasoning of another is an experience as truly as is physical action. And I find that through mental effort I can draw conclusions regarding the probable result of a certain course of action. I myself have never had the experience derived from such actions in my own life, but I can compare them with those which I have had which are most like them. If the resultant conclusions are correct, if they parallel reality, I derive benefit from them; but if they are erroneous I suffer. When I have taken this step I rely more upon mental experience to furnish me the necessary knowledge. But whether the experience be mental or physical, we have but one reason to rely upon it; which is that it furnishes us with more or less accurate data for future action. It is only because we have found, in a similar way, that we can more or less clearly anticipate conditions and profit by that anticipation that we learn to rely upon the processes of the mind. Sense impressions and reason are thus alike valuable only in so far as they furnish correct knowledge; for upon this depends the ability of the organism continuously to adapt itself to environment, and upon this ability depends its survival. Failure to adapt itself to an environment accurately apprehended and correctly reasoned upon means first pain, and finally death. On the other hand, continuous adaptation means continued life, and the more perfect the adaptation the fuller the life. Man, then, has found that reason based upon the perceptions of his physical senses is necessary for adaptation and consequent survival; but its value depends upon their accuracy. Therefore, if some other means can be discovered that will give more accurate results, or additional information, progress demands its adoption. That such other faculties exist in nature—faculties which, relied upon bring satisfactory results—needs but a glance about us to demonstrate. For example, the homing pigeon needs neither reason nor any past experience of the region over which it flies to find its way unerringly to its roost, hundreds of strange miles away. And a honeybee needs neither reason nor compass to take a straight course to its hive through forests and over mountains. The oriole also needs no previous experience to enable it to build its cleverly-woven hanging nest. These and many other instincts of wild creatures are reliable within their boundaries, just as man’s reason is reliable within certain limits. Experience alone determines in any case how much reliance can be placed on either; and this conformity of later experience to expected results alone is the test of the value of any faculty. To learn thus to check the reports of the senses by experience—to test in the laboratory of life the accuracy of observation and the conclusions based thereon; especially to be able to do this mentally, without going through the slow and usually painful process of physical testing—is the greater part of wisdom. Early in his life the great sage, Giordano Bruno, found out this truth. Looking across the undulating foothills to Mt. Vesuvius, apparently scarred and bare of all vegetation, he desired greatly to visit the volcano and observe its barren stretches at close range. Finally the opportunity came for him to take the journey and he set forth from his native fields and vineyards. What was his surprise on reaching the distant mountain to find its sides covered with vegetation, while, looking back on the lands of his fathers from that distance, they seemed as barren and destitute of life as the mountain had seemed. This lesson was never forgotten. From it he learned to distrust the reports of his senses, and thereafter carefully devised means of checking and testing the accuracy of all sense impressions. As a result he became the greatest scientist of his time and assisted in the overthrow of the Aristotelian system of philosophy and the establishment of the Heliocentric system of astronomy, by his achievements proving that he had found the true method of Wisdom. His greatness was directly connected with the fact that he early discovered what we must all discover before we can correct and improve our knowledge—namely that we constantly misinterpret our sense impressions, and despite repeated efforts to check them one against another and to subject them to reason we almost daily draw from their reports wrong conclusions. Thus we see a familiar face across the street and go to offer greetings only to find ourselves confronted by an utter stranger. We have made a mistake. Or we hear a sound, and conclude it comes from a great distance; but investigation proves it to be a faint sound close at hand that, because of lack of volume, we mistook for a greater sound, more remote. But in addition to the reports received by these physical senses, we have to consider the claims of the superphysical senses; for some people declare they are able to check the impressions of the physical senses by impressions received through other avenues. They also assert that they are able to draw correct conclusions without the ordinary process of reasoning. Both the truth and the reliability of such impressions and conclusions must be subjected to the same tests. Their value—like the value of more usual conclusions—can be determined only by experience. We have just found that our only excuse for accepting the reports of the physical senses and ordinary reason as a basis for action is that conclusions based upon them have coincided with later experience. The reliability and truth of other methods of interpreting phenomena must be determined by the same standard. Thus if by some other faculty than physical sight I see a friend approaching, and later this friend actually pays me a visit, and I ascertain he was on the way at the time I had the vision, I tentatively conclude there is an inner sense of sight. If I have frequent experiences of this kind, as some persons certainly do, and if on each occasion when I see the event by clairvoyant vision, the external event actually transpires, though I had no means of knowing, through any physical avenue, that it would so transpire, I am gradually justified in placing confidence in such visions as a basis of future action. If, again, some business proposition is presented to me and even before I have reasoned about the matter I feel that it will prove a failure, and events later prove this intuition correct; and such occurrences frequently take place, I am justified in concluding that there is a possibility of arriving at a correct judgment apart from reasoning. And if on many occasions I find the experience with reality coincides with the impressions received through intuition, I am justified in basing future actions upon intuition. If in such a case the report of physical sight or ordinary reason conflicts with the inner sense of sight, and with intuition, I must then reflect which has more generally proved correct in the past, and incline toward that one. It should be unnecessary to call attention to the foregoing obvious truths. But there is a tendency among material scientists to overlook the fact that the physical senses are but instruments by which reality may be determined, and that their value lies wholly in their ability correctly to report the universe and to direct man’s actions in conformity therewith. To assert, as many of them do, that the physical senses and reason are the only means by which the universe may be apprehended and knowledge gained, is thoroughly unscientific; for any such assertion is an assumption not verified by experience. When it takes this attitude, material science is as dogmatic as the religions it ridicules; for it assumes a superiority and infallibility that its own history refutes. It boasts of its experimental methods, but fails to apply those methods except to a very limited section of the universe—a limited section which it dogmatically assumes to be the only legitimate field of investigation. When scientists take such an unwarranted stand, sincere men, seeking the truth in all regions; seeking, that is, to conform cognition to the infinite and inexhaustible Reality, must protest. Attempts like this to narrow the field of inquiry arise from a very natural effort to bring the subject of study—this vast universe—within reach of the circumscribed intelligence of the investigator. It is not a new attempt. The Inquisition rose to a similar attempt, and haled before it, a few hundred years ago, the famous scientist, Galileo, who had dared to investigate beyond the ecclesiastical limits and to inquire into the solar system. Such breadth of inquiry was then held sacrilegious, just as the breadth of inquiry of Psychical Research and still more of Occultism is subject to the reproach of orthodox physical scientists. For while today the legitimate field of experimental investigation has expanded to include the entire realm of physical phenomena, it is still restricted to that comparatively limited field, and those who declare that there are vaster realms to be explored, interior to the physical, are considered to be as foolish as were the first astronomers who declared the earth to be, not the center of the universe, but merely one planet among many, moving around a sun a million times larger. Yet since we agree that all knowledge must be based upon experience, and since repeated experiences, as we have just seen, tend to correct false impressions derived from a too-limited experience, it is clear that any avenue by which man can arrive at that wider and more accurate cognition is legitimate, and that the only test of its usefulness lies in the verity. Thus if I have a dream, and this dream is followed in a few days by a certain event, and I have the same dream again and again, and on each occasion it is followed by the same event, the dream is just as useful a source of information regarding the approach of this particular event as if the information had come through some recognized physical channel. If such dreaming is cultivated and the images thus presented to the mind are found by experience invariably to signify approaching events, and by this means situations are foretold accurately and repeatedly that could not have been known by any merely physical means, these dreams become a legitimate source of valuable knowledge, whose reliability has been determined by repeated experiment. As a matter of fact, many people receive information through such dreams, and there are indisputable records of lives having been saved by them. True, I am not justified in coming to the conclusion that dreams, clairvoyance, telepathy, and other psychic activities now called occult, are to be relied upon without full proof; and I am not justified in accepting loose explanations of them; or any explanations that have not been tested thoroughly by experiments. Thus if I hear a voice clairaudiently, purporting to come from someone long since dead, I may accept the fact that I hear the voice and wait for further confirmation of its supposed source. Devices have been arranged to check physical experiments against false conclusions; and tests may be contrived in these cases also to preclude the possibility of deception in determining the identity of a discarnate entity. Nor am I justified in following the advice received through this clairaudient faculty unless I have found through repeated observation of information so gained that it is reliable. Even then, on some particular occasions the information gained might lead astray, just as I might find the advice of a friend unusually good, but on some special occasion it would prove faulty. The accuracy and value of information received through any channel, physical or psychical, equally requires experimental determination. The literature covering the field of psychical research, here just touched upon, will prove amply to any unprejudicated mind that there are senses and faculties other than the five physical senses. Physical science, as yet unable to account for these powers, conveniently ignores them, and, assuming an air of enlightened superiority, puts the entire matter aside by simply saying “Bosh!” This is bad enough, as an exhibition of the limitations of our advanced men of science, but it is worse because to the lay mind the utterances of these savants are considered final. The general impression is that material science is infallible, when the truth is that it is undergoing a constant process of revision, each decade trying to correct the mistakes of the previous decade. Thus what is accepted as scientific today was unknown a few years ago, and may in its turn be refuted in years to come. Indeed, many of the very things science proclaimed to be impossible thirty years ago are now accomplished facts. Current scientific opinion is thus continually overthrown by new discoveries, and the whole structure must be rebuilt to conform to the altered conceptions. This is not at all to the discredit of material science, and occult science should follow the same procedure; for, as we have been seeing, it conforms to the method by which knowledge grows; but nevertheless to build upon the conclusions of material science alone is to build upon the ever-shifting sands. Its conclusions should be steadied and bettered by the binding cement brought from other and wider regions. But whatever the value of the conclusions of others, every true scientist after assimilating them, desires to read the Book of Nature for himself. Sooner or later he examines the ground of his own first-hand knowledge, and here he well may start with the positive knowledge “I AM.” This, certainly, he knows of himself. Next, he discovers there is something else than I AM: The Universe Exists. This he Feels. It is from these feelings that he endeavors to determine the nature of that universe in relation to himself; to the one who feels and knows. And here he discovers the dimly felt presence of the superphysical senses and is almost sure to learn that in his community is someone claiming to possess these senses in a more marked form. Through this person, or others of the same sort, the earnest scientist supplements the knowledge gained from physical research with the further knowledge to be gained from psychical research. It is probable that his first experiments will be inconclusive; but if he persists over a sufficiently extensive area, he will discover beyond the shadow of a doubt—as has every scientist who has done thorough work in this field—that there assuredly are faculties, principles, and forces as yet undreamed of by materialistic philosophers. With this conviction he becomes an occult scientist. Already in the realm of physical science he has found its advocates making claim to knowledge they can in no way substantiate. He knows that the things conceded to be the very bulwarks of scientific accuracy and precision are very far from it when put to the test. Such discrepancies between theory and practice are not loudly announced to the general public, because the bread and butter of scientific men depend upon their reputation for knowledge and accuracy. For example, the Law of Gravitation, which is the basis of all astronomical and mechanical reckoning, and is stated thus—The attraction of Gravity between two bodies is directly in proportion to the product of their masses and inversely as the square of their distance—does not give precision in celestial calculations. By all the teachings of physical science the planets should exert an influence upon each other which could be exactly measured according to this law. But as a matter of experience it is found that a decimal must be added to the squares of their distances, and even with this tampering with figures to make the answer coincide with observed results the actual positions of the planets continue to vary from their calculated places, and there is a continual alteration of the mathematical formulas in an attempt to get the correct answer. Again, take the theory of the tides as accepted and taught in the schools of the land. One might suppose, from the definite way it is set forth, that this theory is the essence of scientific accuracy. But in actual practice the tides do not at all coincide with their theoretical rise and fall; indeed, the divergence is sometimes so wide that the Moon apparently repels the tides instead of attracting them and they occur at points almost opposite those at which they would theoretically be calculated. Therefore in actually predetermining the tides for practical purposes their fluctuations are frankly calculated from past observations. It is the case of getting the right answer without knowing why, like a schoolboy working a problem whose answer is given in the back of the book. Noting this familiar performance on the part of men of standing in the scientific world, our occult investigator is not surprised to find that there are many claims advanced by enthusiastic students of occultism also that cannot be verified. But he no more throws over all of occultism when he makes this disconcerting discovery, than, under similar circumstances, he casts aside all the findings of physical science. At this stage, his attention may be called to Astrology. No one can seriously and thoroughly investigate this occult science without becoming convinced that certain positions of the planets coincide with certain characteristics and events in the life of men. No psychic sense is needed for such a demonstration. It is purely a matter of experiment. 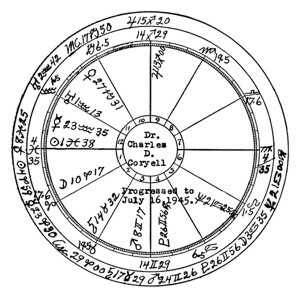 For if a certain angular relation of two planets coincides always with events of a certain nature, and enough birth charts of persons having this position can be secured to prove it to be much more than a coincidence, no amount of theoretical argument can refute the facts. Physical science is reluctant to accept such conclusions, or even to make the necessary experiments to verify them, because it has so far found no adequate theory to account for them. Isabel M. Lewis, of the U.S. Naval Observatory, writing in Nature Magazine for April 1931, says: “It is doubtful, indeed, if any astronomer would know how to cast a horoscope or make astrological predictions of any kind.” (See Chapter 6, Course XVII, Cosmic Alchemy, Serial Lesson 169) Yet these same astronomers, ignorant even of how to set up a birth chart, freely pass judgment that astrology must be false because they have no theoretical grounds by which to explain it. Alchemy may next claim the attention of our investigator. Although he knows it is stigmatized as an exploded science, he no longer accepts as final the dictum of a school he has found to be often prejudiced, a dictum, moreover, pronounced by men without knowledge of the subject they condemn. He finds that the two chief tenets of alchemy, as laid down by the ancients, are that there is a Primitive First Substance of which all physical matter is composed, and that it is possible to transmute one or more metals into another totally distinct metal. Such ideas have been ridiculed by chemists until within the last few years. Now, however, it has been proved that all atoms are built up in a special way of particles of electricity, some negatively charged, others equally positively charged, all held within a certain volume by the interaction of the attraction between the negative electrons and the positive positrons. Thus, has electricity been demonstrated as the Primitive First Substance. Furthermore, radium decays into helium and lead. Professor Ramsey has transmuted copper into lithium. Other scientists, through bombarding the atoms of one or two elements, much as radium bombards on its own, occasionally score a direct hit and smash out a piece of the nucleus of the element and thereby transmute each part into an atom of some other element. Thus the very theory and processes of alchemy, so long scoffed at by material scientists, have now been demonstrated in their own laboratories. By methods as experimental as theirs, under conditions as strictly scientific, the Occult Scientist has demonstrated Magic, Astrology, and Alchemy. This makes him reluctant to discard any branch of occultism without first giving it a thorough investigation. He approaches different methods of divination with, perhaps, a good deal of skepticism; but even in this he is surprised to find results that cannot be attributed to coincidence, and he is forced to conclude that there are laws underlying such matters totally ignored by physical science. But then, he reflects, physical science has never determined the laws governing the source of the sun’s heat. Every theory it has formulated to account for this phenomenon—and, for that matter, for numerous others—has been torn to shreds by later investigation. It is not astonishing, then, that it has failed to discover the mental laws governing divination. But just as the true scientist finds the material sciences oppressed by many erroneous ideas and theories, so also he finds speculation and supposition so largely covering the facts of occult science that he can gain very little through reading the current works upon such subjects. Mystical folly and absurd and conflicting doctrines meet him on every hand. Everyone whom he consults has an opinion, but usually quite unsupported by experimental facts. His only recourse seems to be to advance, step by step, applying the methods of experimental science to psychical and spiritual things, and so gain knowledge at first hand. He knows that to do this requires application, effort, keen discrimination and, finally, the development of the senses of the unconscious mind. Although intuition and thought transference undoubtedly are activities or perceptions of the unconscious mind, because they so commonly reported the phenomena of the physical plane the ancients classified them as physical senses, along with the other five. But whether five or seven, the experience gained through these physical senses is the foundation of all knowledge of physical life. There are also seven psychic senses by which the phenomena of the world interior to the physical are reported to the unconscious mind, and from thence may be raised into the region of physical consciousness. The experience gained through the use of these psychic senses is the foundation of knowledge of life on the inner planes. Nor are they so rare as to make this manner of investigation a practical impossibility; for more people than is generally supposed possess at least one of them in a more or less advanced stage of development. The number is unknown because the ridicule that follows the announcement that one possesses such a faculty frequently deters people from making their psychic ability known. Nevertheless, even a little candid investigation will reveal the fact that such senses exist, and that by their use worlds other than the physical may be explored and understood, even as the physical world is explored and understood through the reports of the physical senses. Moreover, even as the physical senses may be developed to a state of keenness and accuracy, so may the psychic senses be roused from their dormant condition and be educated to a state of efficiency. In this education, either one of two methods may be followed. One is negative, mediumistic, passive and destructive to the individuality. It brings a train of evil results and should never be allowed. The other method is positive, controlling, active, and tends to build up the Will and Individuality, increasing the power of the mentality and bringing greater vigor to the body. This constructive method of training brings highly satisfactory results, and may be followed without danger. Moreover, as the psychic senses develop, their reports should be carefully analyzed and verified. They are yet immature, and as it took years after birth to educate the sense of sight so that it became a reliable guide to effort, it may take that long to develop psychic-sight, or any psychic sense, to a comparative degree of accuracy. Most persons’ psychic senses when first awakened are just about as accurate as were their physical senses immediately after birth. Consequently it is absurd to take the reports of these rudimentary faculties as indisputable. Yet they can be developed through exercise; and experience will indicate just how much reliability can be placed upon their reports. It will be found that they often give information that later can be verified—such information as could not possibly be gained at the time through the physical senses. And as the reliability of the psychic senses increases they may safely be used to report the phenomena of the inner worlds. These reports may be checked, one against another, and compared with later experiences of those realms in such a way as to give the same certainty about the things of the inner worlds as may be had through the physical senses about the things of the outer world. At a still later period of occult development, if the student has had the patience and ability to follow so far the royal road leading to initiation, it becomes possible to leave the physical body consciously and travel on a plane interior to the physical. Means may be devised by which it is possible to prove with scientific certainty that this journey was an actual fact, and that the places thus visited were actually entered. When he makes such a journey, the student is able to say with certainty that there are inner regions, just as when he visits a city on the physical plane he is certain that such a city exists, and can describe it. Immortality is more difficult of proof. Still, one who visits the homes of the dead and converses with them has ample assurance of life after death. In our experience with the material world we have often found the instincts implanted by nature a better index to reality than reasoning from limited premises; so in this matter also we find our instincts a better guide than prejudice. Thus, instinct teaches animals to prepare warm dens for winter and stock them with food. They do not know of winter by individual experience, for they make this preparation for the first winter of life. Similarly, man instinctively looks for a future life and strives to prepare for it. The occultist, urged on by instinct, prepares for a life immortal, a life of never-ending progression; and by the development of his individual faculties explores its realms, and while yet on earth gains knowledge of its laws. We repeat that the data upon which occult science rests is purely experimental, and even as in physical science it is necessary to form a hypothesis as a working basis, so also in occult science certain working hypotheses are essential. But occult science does not stand or fall by the correctness of theories any more than does physical science. For example, the science of chemistry was founded upon Dalton’s Atomic Theory, until recently universally accepted. But with the explosion of that theory which so long served as a working hypothesis for all chemists, and the adoption of the Electronic Theory in its stead, chemistry does not fall. Neither does the disproof of any prevalent occult theory seriously affect occultism. Its truths are based upon observed phenomena carefully checked and compared. Yet when some ideas not sufficiently checked and confirmed are admitted to the edifice, they can be removed or improved without destroying the whole structure. Every science and every religion of the past which has claimed infallibility has lived to see such claim disproved. In the very nature of things, as I trust I have clearly shown, any claim to infallibility is absurd; because knowledge of the universe is endless and the evolution of intelligence is toward the acquisition of more and more knowledge. Nor are we attempting to get our ideas accepted on faith. On the contrary, we indicate to the student just how to go about it to develop his own intelligence and his own psychic faculties, and earnestly advise him to disprove or verify every statement we make by experiments of his own. Most religions teach that there is a life after death. But they discourage any attempt to prove such an existence. We, THE CHURCH OF LIGHT, however, believe that painstaking research should be carried out on every possible plane, and in all departments of nature, including those physical and those spiritual, to the end that man may not merely believe, but may know, the conditions under which he is required to live in each distinct realm, that he may utilize the laws and principles so discovered to be successful, in the larger sense, wherever he may function. Physical life is but a fragment of that total life which is man’s inheritance. The more knowledge we have of the laws of the physical plane, including occult laws, the surer our chances of physical success. Physical success is not to be ignored. But we must also, if we are to have a basis for success in our life in its vaster scope, acquire a knowledge of the laws governing other planes. The more comprehensive our knowledge, the better we are fitted to adjust ourselves to the demands of this wider life. It is this knowledge that THE RELIGION OF THE STARS attempts to furnish. These lessons make no claim to infallibility. 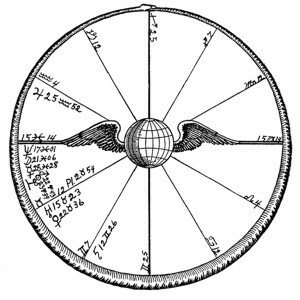 They do, however, present the present views of those on various planes, including the physical, who anciently or in modern times, have been specially qualified for, and have carried out, research on every available plane. They are offered to students, therefore, not as the final word after which nothing more can be said; but drawing from high intelligences on various planes, as the best information available at the present moment of evolution. 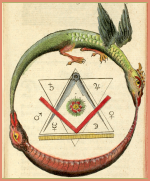 Thomas H. Burgoyne, great seer (Moon, Mercury and Neptune on Asc.) 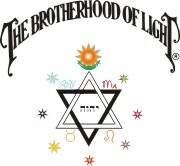 and daring pioneer (sun conjunction Mars in Aries) in placing The Brotherhood of Light teachings before the world. Light of Egypt, Vol. 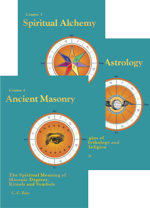 I, published in 1889 was responsible for C. C. Zain making a thorough study of astrology. This book and Art Magic, and Ghostland, by another author, all three now out of print, were the outstanding expositions of Brotherhood of Light teachings until the present more detailed lessons were issued. 1940, started teaching at University of California at Los Angeles: Mercury trine Jupiter p in house of teaching (ninth). 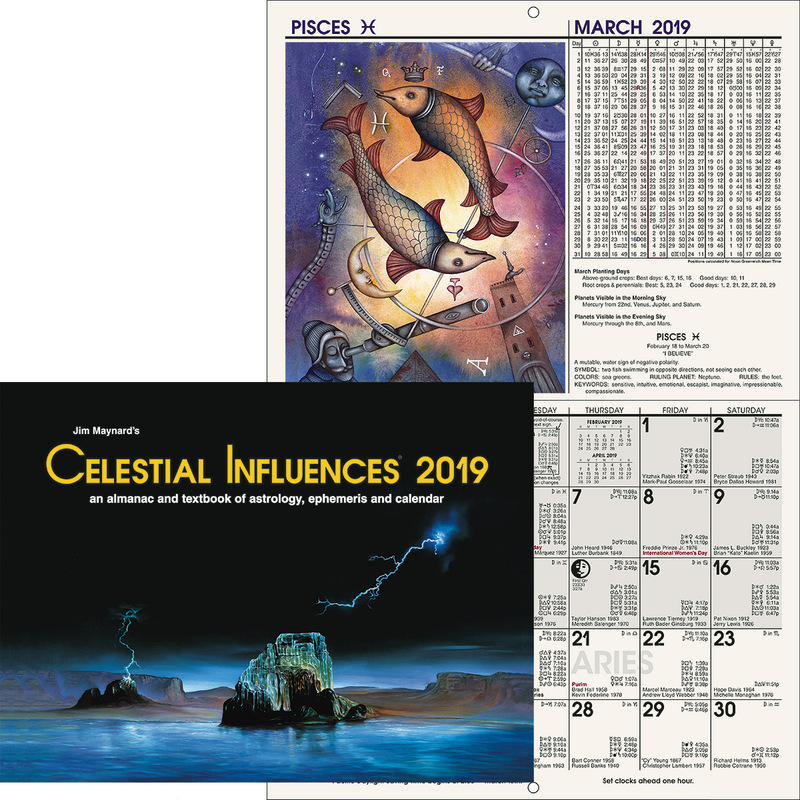 1942, May, asked to go to San Francisco for conference on research leading to manufacture of atomic bomb: Sun at birth in house of secret things (twelfth), sextile Uranus r, planet of invention and research. 1945, July 16, with other parents of the atomic bomb, was present at Aloma, New Mexico, when first atomic bomb was dropped: First atomic bomb used in warfare was dropped on Hiroshima, Aug. 6, 1945, hastening end of World War II: Jupiter conjunction M.C. r; Mars trine Mercury r; Mercury sextile Mercury r; sextile Mars p; semisquare Venus p; semisquare Mars r.